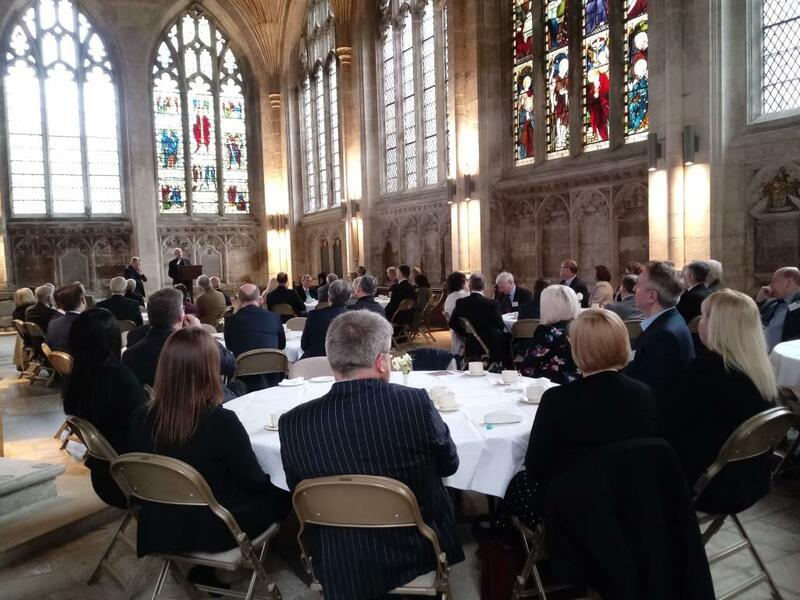 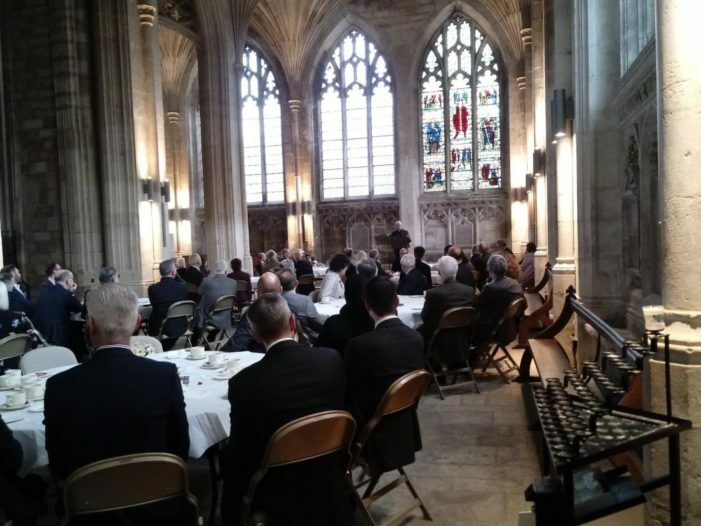 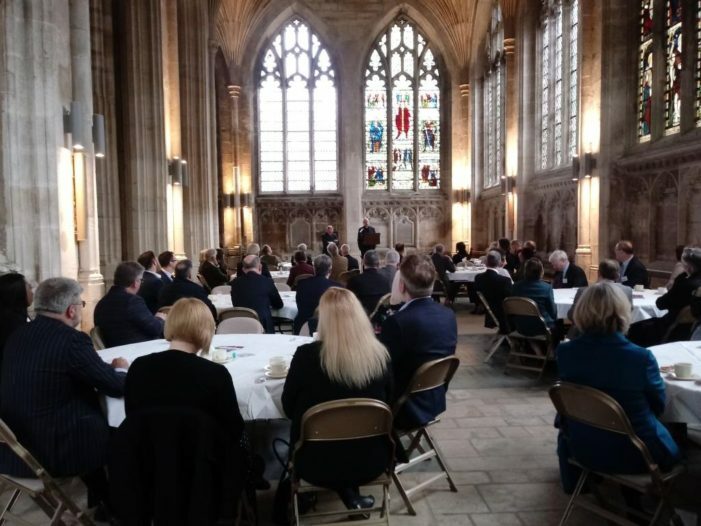 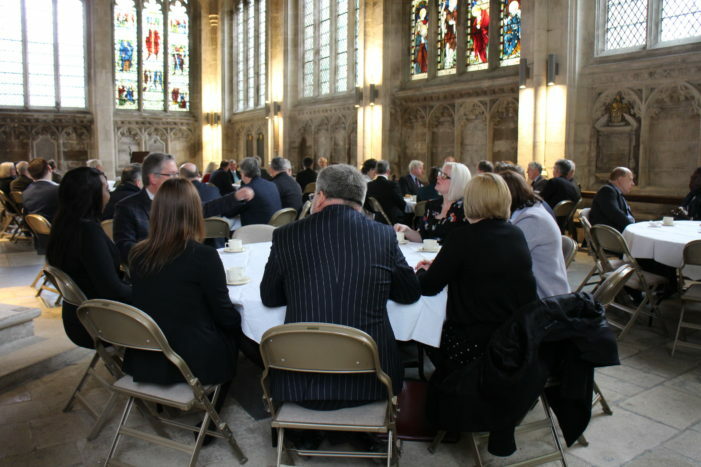 The final day of the Archbishop’s visit began with a talk at a breakfast for local business leaders, held in Peterborough Cathedral’s New Building. 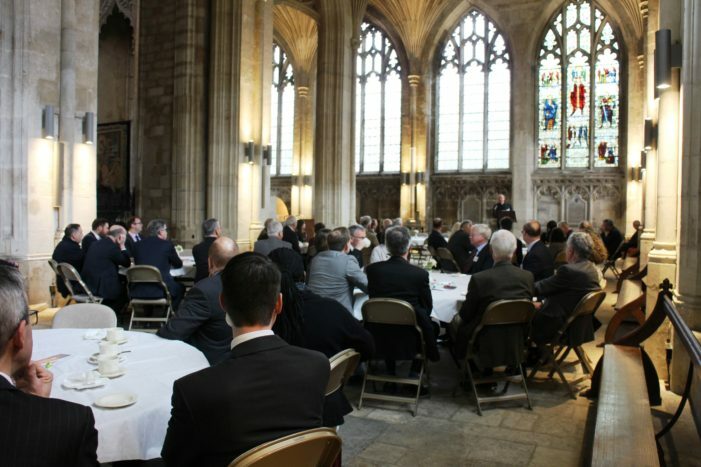 He spoke about uncertainty in business, and why stability is so important. He said that businesses should be ‘a community within society’, and that the goal for each human being is to look back upon retirement and think, ‘What I did has been valuable and worthwhile’. You can hear the full talk here. 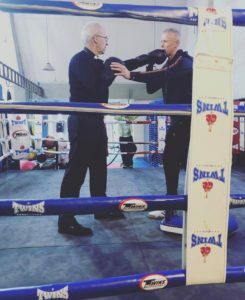 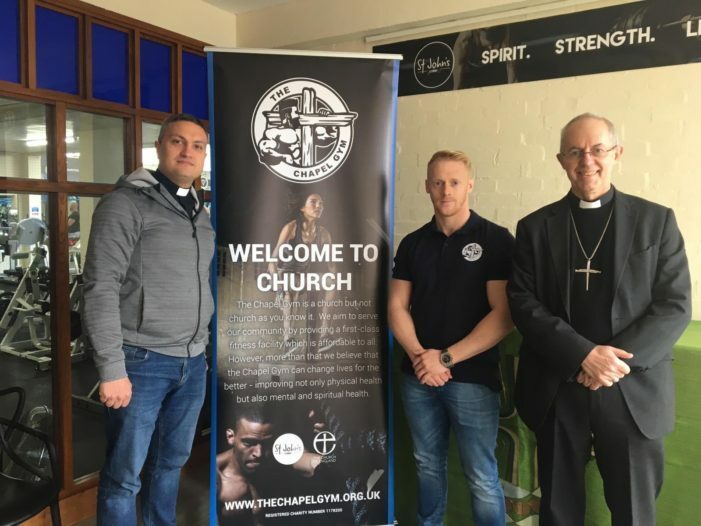 The Archbishop then moved on to Corby Epiphany Church where he visited The Chapel Gym. 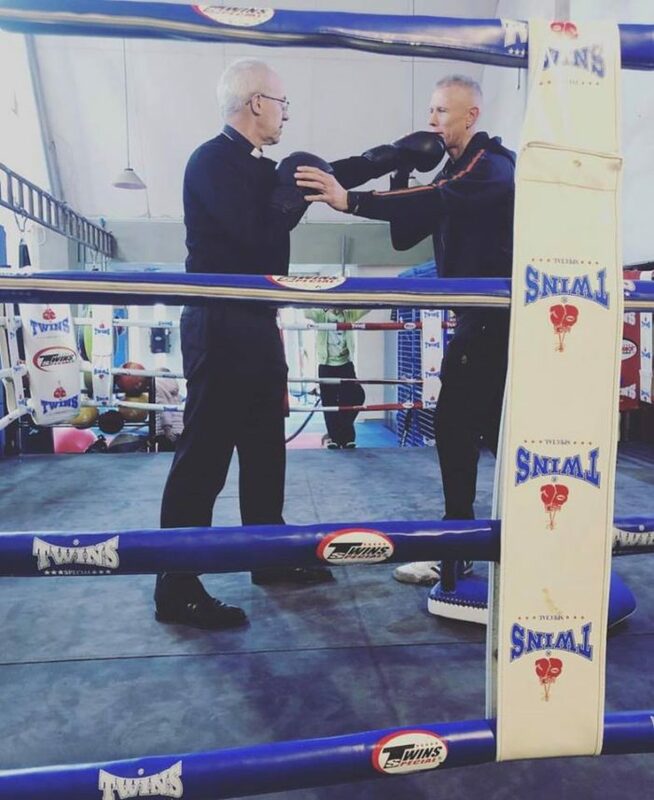 It’s both a gym and a church, which is connecting with local people and helping them physically, emotionally, mentally and spiritually. As you can see, the Archbishop got into the swing of things! The Archbishop then visited the Exeter Estate in Corby to join with a Bible study there, run by Pioneer Curate Andrew Silley. 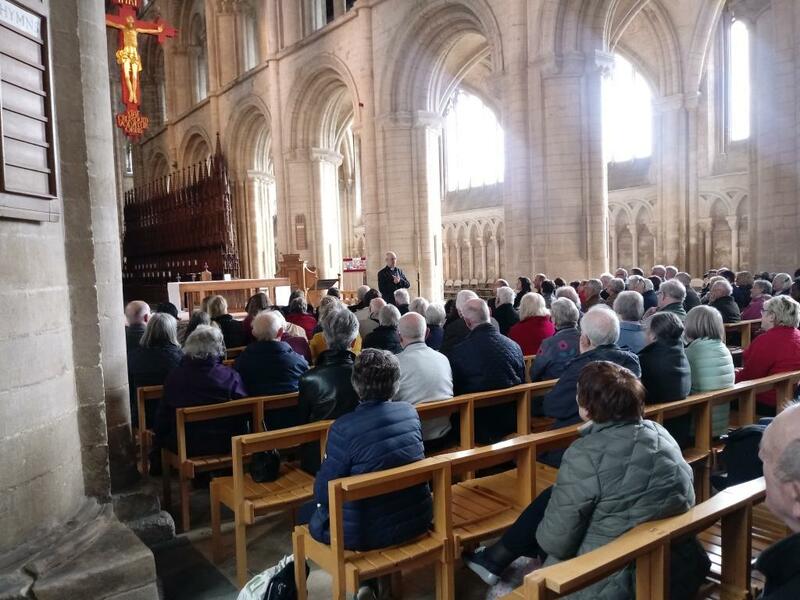 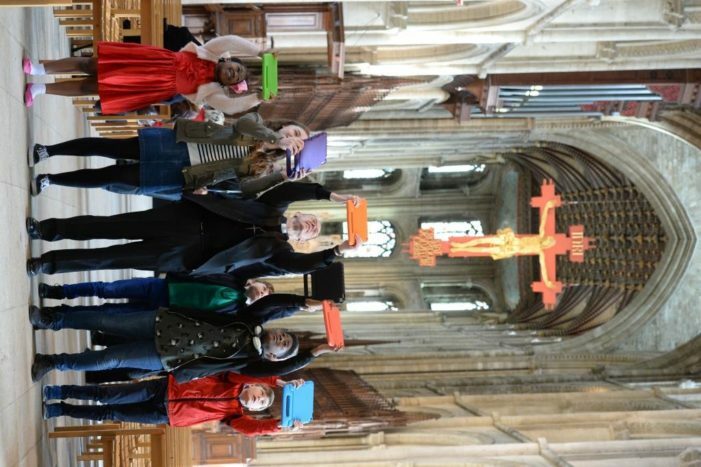 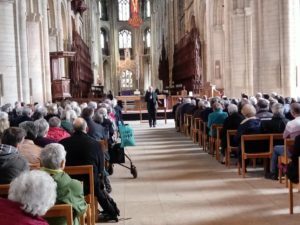 It was then back to the Cathedral for the launch of a new interactive Gamar trail app, which will enable people to explore the Cathedral in a whole new way. The Archbishop was joined by some excellent assistants, who were able to give some expertise. 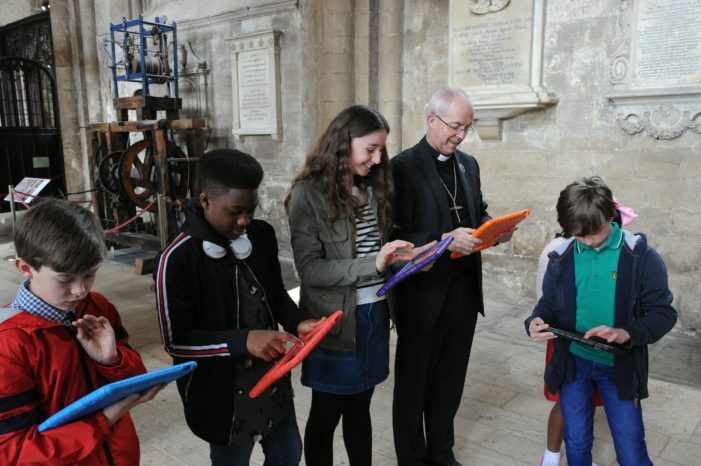 The app can downloaded from www.gamar.com, or alternatively from the App Store or Google Play. 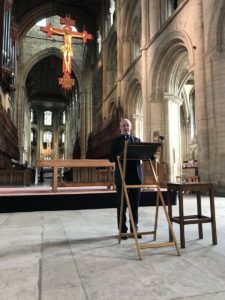 Finally, Archbishop Justin spoke at the ‘Wednesday at One’ service. 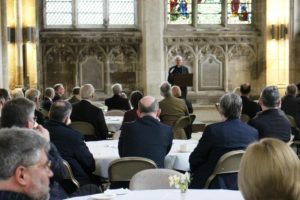 The theme was ‘Foundation For Hope’, and using the book of Ruth as a reference point, he spoke of the need for the Church to become a ‘community of compassion’ with a ‘clear moral compass’. He said: ‘Hope comes from relationship with the God who never fails. 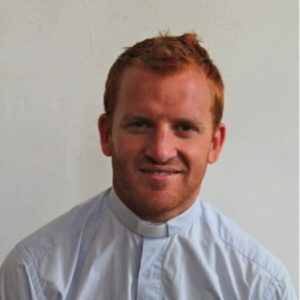 Communities are ones which provide hope – then we find transformation’. You can hear the Archbishop’s ‘Wednesday at One’ talk here. 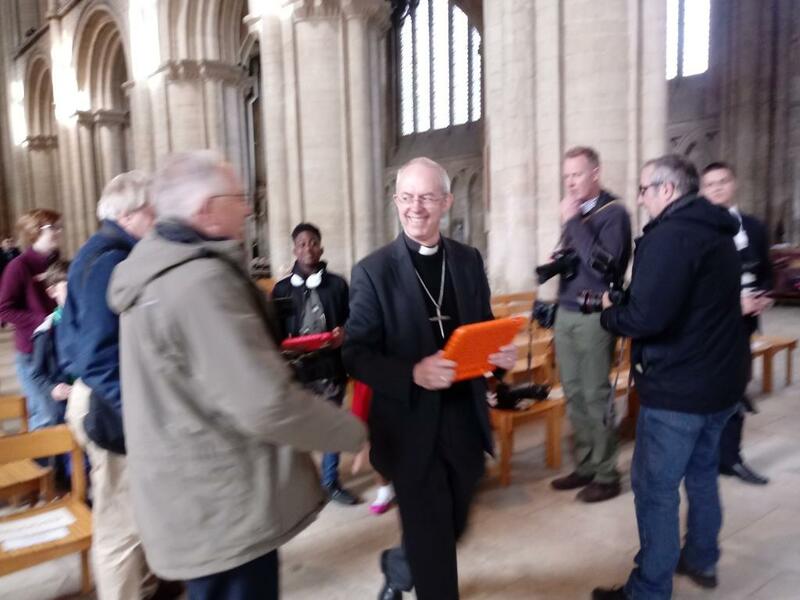 The Archbishop was then presented with a Cathedral mug and a pack of Cathedral playing cards as a memento of his visit to the Diocese. It was fantastic to welcome the Archbishop to the Diocese of Peterborough – and it was clear that he was thrilled by the work going on here in so many different communities and in so many different ways.